In addition to taste, today’s restaurant-goers increasingly care about the provenance of the food they consume. At Sweetgreen (91 locations), for instance, an employee writes the names of the farms that supplied the season’s ingredients on a chalkboard in the restaurant. Shake Shack published a cookbook last year that highlights its local purveyors. While moves like these are impossible at the scale of McDonald’s, the chain has been taking gradual steps in these upstarts’ direction. The company committed in 2015 to using exclusively cage-free eggs by 2025. Its chicken is now free of most antibiotics, which has been the policy in the U.S. since last year (though the Humane Society thinks these changes don’t go far enough). McDonald’s also recently announced it would stop using plastic straws in the U.K. by 2020 and begin testing alternatives in the U.S. Generally, the company has become more transparent about its sourcing in the post–Fast Food Nation era, distancing itself from the industrial food processes it formerly employed that had so disgusted consumers, including incorporating “pink slime”—beef castoffs treated with ammonia—into its burgers. But fresh beef is many orders of magnitude more challenging than any menu update thus far, and more significant to the company overall. “We thought, How do we make the biggest difference to the most customers in the shortest possible time?” says Easterbrook. 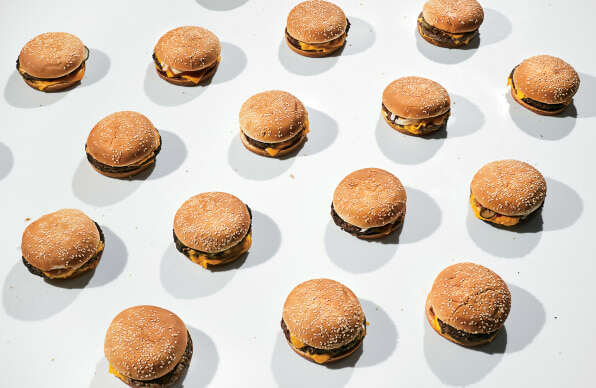 Rather than playing defense against critics by adding a healthful—and potentially unpopular—option to the menu, the company has homed in on its essential product: a hamburger, the biggest, burgeriest hamburger McDonald’s sells. 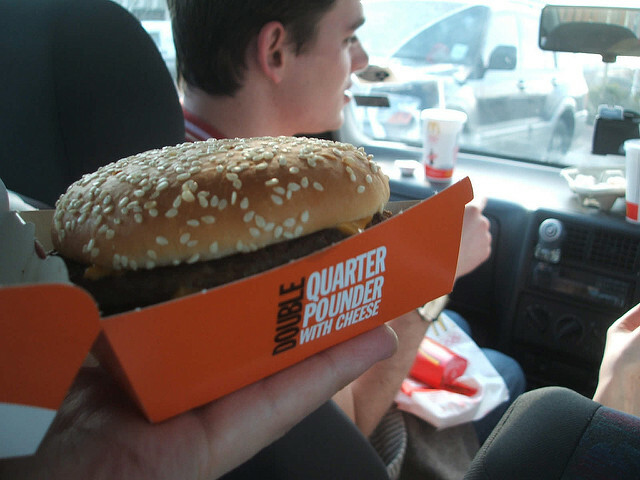 On a late-spring Tuesday, not long after the new patty began being served nationwide, Christa Small, one of the company’s top operations executives and the person whose team was responsible for coming up with the procedures that make fresh beef possible, visits a McDonald’s near the old campus in Oak Brook. It’s hard to imagine anyone you’d trust more with the task of making sure the biggest restaurant chain in the world can safely sell a potentially pathogen-carrying product to millions of customers a day. Small is friendly but intensely focused, with a tiny Golden Arches pin on her lapel. She’s worked for McDonald’s her entire career, beginning with a “crew member” position at a restaurant in suburban Chicago, followed by a corporate internship the summer before her freshman year at University of Michigan, where she studied electrical engineering (she also has a master’s in computer engineering). She has served in a wide variety of roles at the company, from the IT department to helping develop the automated beverage machine. Food safety, especially in the wake of Chipotle’s disastrous E. coli outbreaks in 2015 and 2016, which hurt both its business and its brand, is clearly a priority for McDonald’s. The company’s suppliers have spent around $60 million to enhance equipment and systems, including new refrigeration and food-packing technology. 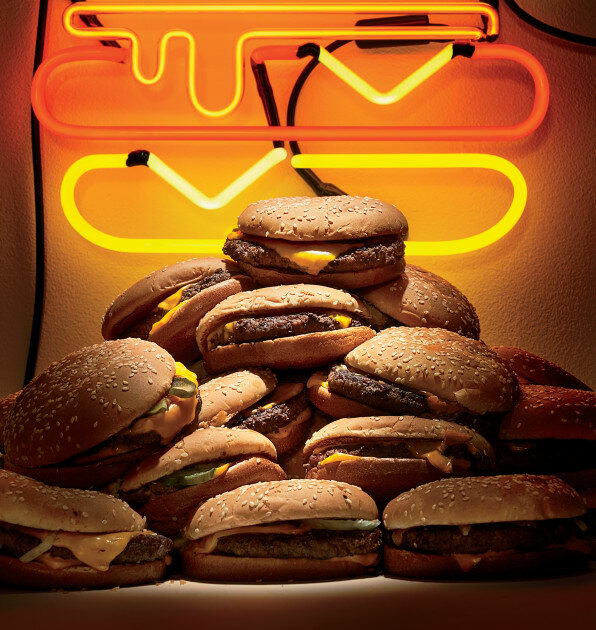 (Lopez Foods, which supplies restaurants in the Texas and Oklahoma region, led the pilot program to develop a process to produce, pack, and ship fresh patties.) The distribution centers and cold trucks were also revamped, to ensure that the patties would be kept appropriately cool yet at no point be exposed to freezing temperatures, rendering the whole fresh-meat initiative moot. To demonstrate, Small takes me to the other side of a McDonald’s counter and asks an associate for a Quarter Pounder. As soon as the order enters the system, a cowbell sound—unique to the new burger—alerts the grill cook, who pulls on a fresh pair of blue gloves and grabs a patty from a sterile bag contained in a blue tub in the special fridge, which is labeled raw fresh beef only/solo carne. fresca cruda. (The combination of the plastic bag and the plastic tub provides two lines of defense against the escape of “purge,” which is the unappetizing word for the juices that the raw burger releases in the packaging. “That’s where your main risk of cross-contamination is,” says Small.) As the grill cook’s burger hits the grill, he lowers a clamshell top, which flattens the patty and allows it to cook on both sides at the same time. In another area of the kitchen, the prep team pops a bun in the toaster and, as soon as it’s ready, applies condiments. When the patty is done, the clamshell automatically floats open. The grill cook seasons the burger with salt and pepper and passes it on a tray to a short conveyor belt, where the prep squad unites the patty with the bun and condiments and packs it all in a cardboard box. The whole process takes less than two minutes. And the finished product? It is, indeed, hotter and juicier. John Goodman’s whispers are not lies.